I don't know who this person is but the rest of their Twitter account is gold. I aspire to writing like this. I mean. This is just. It. Those are The Words. They found them. I am so grateful and jealous. Also there is more to that thread but I think this tweet stands so well alone. 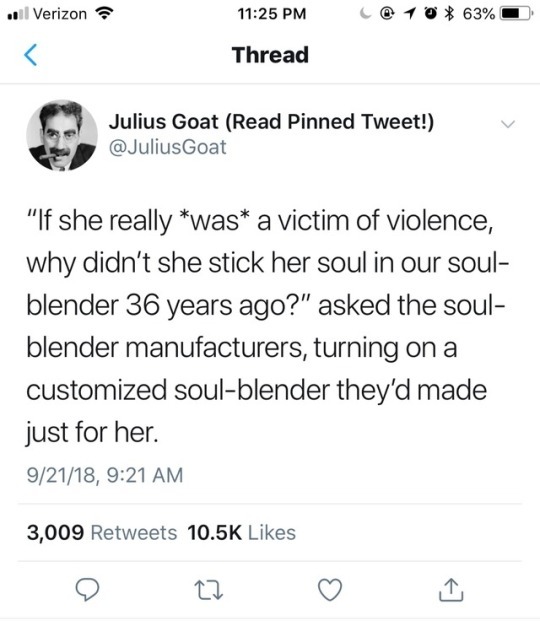 Trials and hearings on sexual assault where the victim has to testify will henceforth be known as soul blenders. And hey, now I have another use for the tag "what happened to your soul" other than using it every time I talk about any Republican.